Kornerupine is a rare gemstone which comes in number of colours but as per chemical composition it is a rare mineral specimen of complex borosilicate that includes iron and other elements. Sometime it is referred to as a Prismatine and because of having great transparency it becomes ideal for the jewellery making. Kornerupine is named in honour of the famous geologist and explorer Andreas Nikolaus Kornerup. It was first discovered in 1884 in Greenland and most of the world’s supply comes from Sri Lanka as it can also be found in Madagascar, Tanzania, Australia and Kenya. Different colours of this precious gemstone can be exhibited when viewing the stone from different angles or can be said that the gemstone is turned with respect to the viewer. This rare and precious gemstone has the supposed ability to have a magical link with breaking doubts and oppressions. Kornerupine is considered as a gemstone for teaching and communication or it can also be used to stabilize and calm emotions. Due to limited availability it is now becoming very popular among the jewellery connoisseurs. Chrysoberyl is generally related with discipline and self-control additionally it brings peace of mind, positive energy and clear thinking. 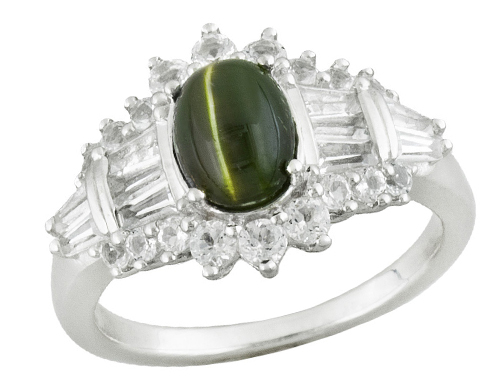 It is said to encourage concentration and the ability to learn, In addition to this Chrysoberyl is very durable and well suited gemstone for all jewellery settings. This precious gemstone has a vitreous luster with crystals ranging from transparent to translucent. It is rated at 6.5 to 7 on Moh’s scale of hardness and suitable for everyday wear. Kornerupine cut stones can be found up to 20 carats and prices jump exponentially for larger pieces.